Response to stress reduction and self-care. At the Institute of Biobehavioral Medicine (IBBMed), we believe the chronic pain is a complex syndrome. Surely, there may be physiological or perhaps anatomical reasons for your pain, but psychological factors may promote, propagate, exacerbate or even serve as the original cause of the pain. For example, at IBBMed we recognize that with many people, depression causes unexplained physical symptoms such as back pain or headaches. Sometimes this kind of pain is the first or the only sign of depression. In a sense, pain and depression are closely related. Depression can cause pain — and pain can cause depression. Sometimes pain and depression create a vicious cycle in which pain worsens symptoms of depression, and then the resulting depression worsens feelings of pain. To get symptoms of pain and depression under control, you may need separate treatment for each condition. However, some treatments may help with both. Because of shared chemical messengers in the brain, antidepressant medications can relieve both pain and depression. 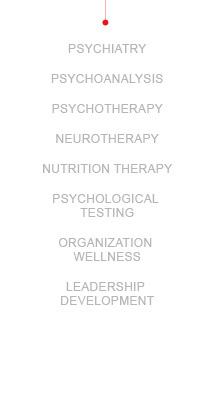 Psychological counseling (psychotherapy) can be effective in treating both conditions. Stress-reduction techniques, meditation, staying active, journaling and other strategies also may help. Treatment for co-occurring pain and depression may be most effective when it involves a combination of treatments.